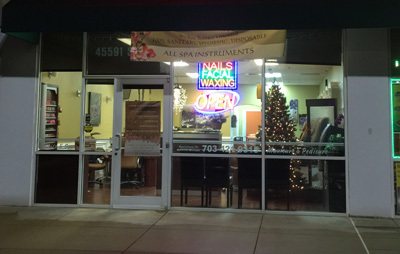 Here at Sterling Nails & Beauty, we offer both the latest techniques and products in hopes of replicating that same experience of enlightenment and beauty while servicing you in a smoothing and comfortable atmosphere. Our professionally trained staff is dedicated to delivering exceptional value in assisting your nails into looking healthy, vibrant and beautiful. Our goal is to simply give our client the ultimate experience in nail pampering, ensuring that they walk out feeling great! Our clients love Sterling Nails & Beauty for the great level of hospitality, customer service and quality. We strive to do our best and welcome your comments and feedback. In keeping with our commitment to cleanliness and hygiene, we adhere to strict sanitation practices for the protection of your health. 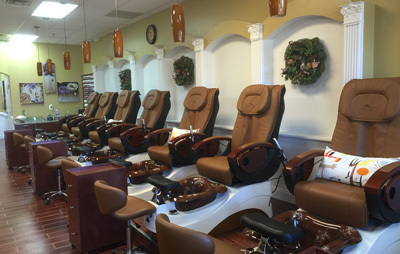 Sterling Nails & Beauty appreciates your patronage! © Copyright Sterling Nails & Beauty. All Rights Reserved.